Ten Days in the Hills by Jane Smiley. I don't usually make comments on the books I read, but DAMN this book sucked. It Ain't All About the Cookin' by Paula Deen. Don't Try This At Home: Culinary Catastrophes From the World's Greatest Chefs by Kimberly Witherspoon and Andrew Friedman. The Way We Eat: Why Our Food Choices Matter by Peter Singer, James Mason. The Town That Forgot How To Breathe by Kevin J Harvey. Playing For Pizza by John Grisham. Comfort Food by Kate Jacobs. Anyone But Him by Sheila O'Flanagan. The Public Confessions of a Middle Aged Woman by Sue Townsend. The Divide by Nicholas Evans. The Friday Night Knitting Club by Kate Jacobs. Cooking for Mr. Right by Susan Volland. New Moon by Stephanie Meyer (hangs head in shame). Dishwasher: One Man's Quest to Wash Dishes in All Fifty States by Pete Jordan. Left Bank by Kate Muir. i like it like that by Claire Calman. The Chocolate Run by Dorothy Koomson. The Pilots Wife by Anita Shreve. Leisureville: Adventures in America's Retirement Utopias by Andrew Blechman. Paradise House by Erica James. No! I don't want to join a bookclub by Virginia Ironside. Knit Two by Kate Jacobs. Working Stiff: The Misadventures of an Accidental Sexpert by Grant Stoddard. Five Men Who Broke My Heart: A Memoir by Susan Shapiro. Seaweed Under Water by Stanley Evans. The Tales of Beedle the Bard by JK Rowling. Tender at the Bone by Ruth Reichl. Straw Dogs I don't get it. The Last Legion No no no no. Night of the Comet You know how you remember movies from your youth as being good, and then you watch them again and it's awful? Yeah. Juno WHY wasn't Jennifer Garner nominated for anything??? She was the best part of the movie. 1408 Ugh. I sat through it because I thought Scott was watching it. He was asleep! He owes me. Cloverfield Maybe it's my bad eyes, but the movie was so goddamn dark half the time I couldn't see anything. Indiana Jones and the Kingdom of the Crystal Skull THIS is what they came up with after all these years? Christ. Martian Child This and 1408 have made me hate John Cusack. Be Kind Rewind I really wanted to like this, but not so much. I promised that I would share 3 appetizer recipes for this month's Weekend Cookbook Challenge and here's number 3 - BBQ Corn Pizza. I know! How good does that sound? Still uninspired by anything in my cookbook collection, I again turned to my cache of recipes on del.icio.us. I bookmarked this recipe back in July 2007 so it's high time I gave it a go - BBQ Pizza with Fresh Summer Corn and Sweet Onions from Susan at Food Blogga. I love pizza, and I really love using BBQ sauce instead of tomato sauce from time to time. It doesn't work with all pizza ingredients, but something like a chicken and onion pizza, or Susan's corn and onion pizza are perfect. As it is December I obviously did not use fresh summer corn. But I did have some really nice frozen organic corn in the freezer, and a red onion in the pantry. The onions and corn are sauteed, then spooned over the bbq sauce spread crust. Then the pizza's topped with smoked gouda cheese and baked. My cheese didn't want to melt. But! It still tasted good. We cut the slices small for finger food. They went fast. 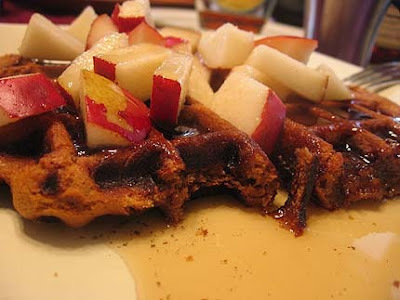 Thanks to Food Blogga for this great recipe! I'm sorry I had to use bottled bbq sauce, I'll be trying your bbq sauce recipe (in the same post) soon. Recipe: BBQ Pizza with Fresh Summer Corn and Sweet Onions. You've got until December 30 to get me your Appetizer posts for Weekend Cookbook Challenge. Find an appetizer recipe (from a book, magazine, Internet etc), make it, blog it, and send me a link. My email is iliketocook AT shaw DOT ca. Thank you for visiting, for your kind words, comments, support and friendship. 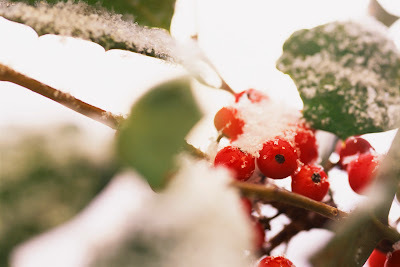 Let's recap the first six days of Christmas at iliketocook, shall we? And we end the week with Day Seven - Multiples. Not much explanation here. If one set of measuring cups is good, then two is better. Cause if one is dirty, the other can be used! If one cutting board is in the sink cause it was used for meat, pull out a clean one for the veggies! And so on. Need a last minute gift for a cooker? Pick up a wooden spoon, a spatula, some measuring spoons and cups and a spatula and wrap them up in a new tea towel. Garnish with a jar of fancy salt or a grocery store gift certificate. As you can see from the above gorgeous logo (wonderfully made, as are all our logos by Lien) that it's Babe time again. This month we are celebrating the holidays with a Yule Wreath. Normally this is the sort of recipe that I would take a miss on making. We don't eat a lot of sweets, nor do most of the people in my "tasting group" either. But the First Rule of the Bread Baking Babes is - There Are No Rules. Gee, I hope the Second Rule isn't Don't Tell Anyone The First Rule. Anyhoo, that means that we could take this traditionally sweet treat and make it savory. Cool. 1-Dissolve yeast in warm water in large bowl. Stir in milk, sugar, margarine, egg, cardamom, salt and 2 cups of the flour. Beat until smooth. Stir in enough remaining flour to make dough easy to handle. 2-Turn dough onto lightly floured surface: knead until smooth and elastic, about 5 minutes. Place in greased bowl; turn greased side up. Cover and let rise in warm place until double, 1 to 1-1/2 hours. 4- Punch down the dough. Roll into rectangle, 15 x 9-inches, on a lightly floured surface. Spread with the filling to within 1/4-inch of the edges. Roll up tightly, beginning at the wide side. Pinch edge of dough into roll to seal well. Stretch roll to make even. With sealed edge down, shape into ring on lightly greased cookie sheet. Pinch ends together. 5- With scissors or kitchen shears, make cuts 2/3 of the way through the ring at 1-inch intervals. Turn each section on it's side (90 degree turn), to show off the pretty swirled filling. Cover loosely with plastic wrap sprayed with cooking spray. Let rise until double, about 40 to 50 minutes. 8- Spread Glaze over the wreath. You can decorate your wreath with nuts, dried fruit, marzipan fruit, or whatever strikes your fancy. * The original recipe says to scald and then cool the milk. It's my understanding that with modern, pasteurized milk, this is no longer necessary. ** If almond paste is not available, or if you fall down in the aisle at the grocery store when you see the price, you can make your own. In a food processor finely grind 8 oz blanched almonds. Process in 8 oz powdered sugar. Then knead in 1 egg white. Store in the refrigerator. Here's the changes I made to make mine savory. I reduced the sugar to 2 tb, and I used dried basil instead of cardamom. Obviously I did not use the almond filling or the glaze either. Instead we filled ours with sauteed mushrooms, onions, ham and cheese. The dough was really nice and soft. Easy to work with and roll out. 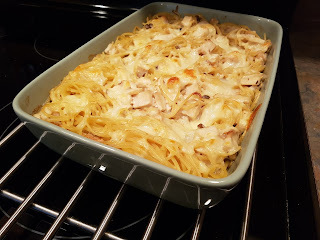 Once I had it in a sort-of-rectangle shape, I sprinkled the dough (leaving a border around the edges) with the cooked and cooled mushrooms and onions, then the ham, and then the cheese. We could have baked it just like that and had one helluva pizza. Then the dough was rolled tightly, formed into a ring, and sealed. Next came the only difficult part of the recipe. Using kitchen shears or a sharp sharp knife, we had to cut the wreath 2/3's of the way through at 1 inch intervals. Once you have all your cuts made, you have to twist each piece so you can see the filling. And lo, there was much arguing in the iliketocook kitchen that morning. We both thought the other was doing it wrong, but couldn't do any better than the other either. The wreath has one more rise, and then gets baked until golden brown. Remove from the oven, and admire. Thank you to Lynn for choosing a fun and changeable recipe for us this month. We loved it! Check out all the Babes wreaths; they're all listed over in the sidebar. Where does the time go? Today I'm combining days 5 and 6 together, cause if I don't, you'll be looking at these dratted present posts in January. Day Five - Stuff in a tube. I am a huge fan of all the tubes you see below. They are convenient, fast, easy, and always at hand. Not that I always shun fresh ingredients for pre-packaged, but sometimes you gotta do what you gotta do. Our grocery stores are completely unreliable when it comes to fresh herbs. And you know, sometimes dried just won't do. So instead of going without or changing the meal altogether, I now keep a tube or basil and cilantro in the fridge. The tubes can't replace fresh in all recipes, but some. Lemon and lime juice are so great to have in the kitchen to add brightness and tang. And when a recipe calls for just 1 tablespoon of tomato paste, or one anchovy fillet, tubes are easier and less wasteful than opening a whole can. I always put a few store bought food items in Scott's stocking. Sometimes a can of shrimp so he can make his Shrimp Dip, cans of smoked oysters, pate. Coffee. Spices. Cheese too - a kind we've never tried before (keep in the fridge until Christmas morning though! ), olives, store bought antipastos and pickles. Heck you could even buy a good quality olive oil or vinegar to put under the tree. And pasta - there are so many shapes beyond spaghetti and linguine. This year he's getting hot sauce, chocolate, smoked oysters and a can of vienna sausages. Another thing I love in the kitchen are glass jars to store....well, everything. They are so much easier to keep food sealed and organized than in plastic bags tied with a plastic tie. I still do that too though. More than half my jars are reused coming from pasta sauce, pickles, mustard, etc. Just soak off the labels, give a good scrub and they're ready to hold peppercorns, flour or dried basil. If you're thinking of giving jars as a gift, buy a box of mason jars. The jars in the picture below are 500 ml (2 cup) jars. At this time of year you can get a box of 12 for $10-$15. Sizes range from half a cup up to liters. The jars can be stacked for storage, you can see what's inside, and the lid will keep your food items fresh and dry and safe from pests. For me, any jar goes, including a coffee can to hold my lifetime supply of cumin, a mayo jar of dried mint, a mustard jar with 1/100th of a spoonful of poultry seasoning, a pesto jar of bay leaves, and mason jars with almonds, colored sugar, brown rice, bow tie pasta and panko breadcrumbs. Tomorrow - the December Bread Baking Babes recipe, and Tuesday is Day Seven! Most likely. Here's my second appetizer for this months Weekend Cookbook Challenge! I've been drawing a blank finding anything that grabs me in any of my cookbooks, so I perused my recipes saved on del.icio.us and lo and behold there it was! From one of my favorite Food TV shows Chef at Home, I made Chinese Chicken Balls. These were so tasty and surprisingly quick to make; less than 30 minutes. The chicken breast is pureed with some other stuff and then formed into quenelles and then cooked in oil. Did I already say tasty? Heat 3 or 4 inches of oil in a pot over medium heat. Puree chicken, soy sauce, ginger, cornstarch egg whites in a food processor until smooth. Add the green onion and whiz again until the onions are incorporated. 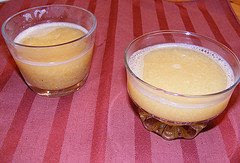 Using a pair of spoons form the mixture into quenelles (ovals). Carefully drop them into the oil . Cook until golden ,about 5 minutes depending on the size. Drain on paper towel and serve hot. Would you like to join me in Weekend Cookbook Challenge this month? Then find an appetizer recipe (from a book, magazine, Internet etc), make it, blog it, and send me a link. My email is iliketocook AT shaw DOT ca, and the deadline is December 30. Most important tool in the kitchen? Your knife. Every kitchen should have at least one good knife. Mine has just that. One good knife. If you are looking to buy yourself or someone else a knife, start with a chefs knife. Look for a sharp blade, good heft for it's size, and that it feels comfortable in your hand. Remember you get what you pay for. If you spend $10 on a knife, chances are it's going to be crap. Spend $70 or ever more, you've got a better chance of it being a keeper. What better gift for someone who loves food than a cookbook! 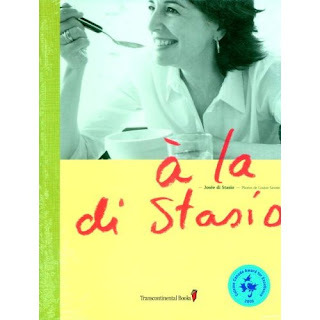 Josee di Stasio is a cookbook author and show host from Quebec. She hosts a popular (500,000 viewers per week) cooking show called a la di stasio and published her cookbook also called A la di Stasio in Quebec (en Francais) in 2004. This year the book was published in English for us lucky Westerners. I will admit that I was not familiar with Josee di Stasio until I came across this book, but I was instantly charmed by her. The book is colorful and bright, with colors like lime green, yellow and red leaping out at you from the pages. There are 11 chapters including the usual main courses, side dishes and desserts, and extras such as The Basics: Tips and Recipes with simple recipes for anything from Asparagus to Tomatos, and A la di Stasio Menus, with 27 different menu suggestions for dinners from holiday meals to Saturday nights. The recipes are simple and straightforward and none are overly complicated. Most recipes have serving suggestions and variations provided, which is fun. There is definitely a Mediterranean influence in this cookbook, and I love it. I started my exploration of this book by picking 4 recipes: Butternut Squash Soup, Pancetta Chicken Casserole, Roasted Cherry Tomatos and Mandarin Sorbet. The soup (computer ate my picture) was just lovely; squash and garlic are roasted in the oven until soft, then added to stock flavored with onions sauteed with ginger and curry powder. The ginger and curry really added a zing to the soup. These were gorgeous and so fast and easy. A simple side dish that would complement almost any meal. Chicken thighs baked with onions, garlic, lemon and pancetta is so elegant and tasty. And it looks cute, if I do say so myself. The easiest and most delicious frozen dessert I've ever made. There are a couple of different riffs of this recipe in the book and I plan on trying all of them. This is the sort of cookbook that never feels old. Every time I open it I'm drawn to another recipe that I can't wait to try. A fabulous gift to find under the tree on the 25th. One of my absolute favorite tools for the kitchen is a blank notebook. I started working on my first notebook when I was 18. I copied recipes from my Mom, my friends (mostly sweets), and my boyfriend-at-the-times Mom's recipes, as he was a fussier eater than even me. I soon added recipes I copied out of newspapers, magazines and cookbooks. And after I gained more confidence in the kitchen I began adding my own ideas, thoughts and recipes. I'm still working on my notebooks, adding original recipes as well as others yummy stuff. My favorites are the coil notebooks. They are nice and large and can usually fit full pages printed off the internet or a word document (with a bit of cropping). And they lie flat when you have them open next to you in the kitchen. And? Cheap. Know someone who likes to cook? Wrap a ribbon around a couple of blank notebooks. They'll be glad you did. I love to give homemade treats from the kitchen for Christmas. Whether gifted out of frugal necessity (as in my early 20's and um, now) or just for fun, homemade food stuffs say "I care!" and "I like you so much that I made you a present!" and "This is how much you mean to me!" and "I have no more money!". We've made a gifted a slew of sweet and savory foods over the years. Flavored vinegars, caramel corn, cookies, peanut butter cups, bbq sauce, truffles, salad dressing, breads, and probably more have been made and hopefully enjoyed and appreciated by the recipients. This year I tried 2 new food gifts. The first is Vanilla Sugar. 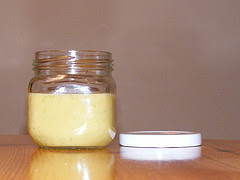 Vanilla Sugar is totally easy to make, requires almost no effort, is cheap and is so fancy pants you won't believe it. So you need 2 ingredients: sugar and a vanilla pod. You'll also need a container with a tight fitting lid to keep the sugar in while the vanilla pod is flavoring the sugar, and also some small containers or jars if you plan on gifting some sugar. Place 3 cups of sugar in your container. Carefully cut your vanilla bean in half lengthwise. With the back of your knife, scrape out all the yummy sticky vanilla seeds. Add the seeds AND the scraped bean pieces into the sugar. Stir the sugar well, or put the lid on your container and shake. Set aside and let the sugar sit for 2 to 3 weeks. Every once in a while, shake the container. When it's ready, pour it through a fine sieve to get out the hard pod bits. Pour into jars, and gift or keep. from More Recipes from the Best of Bridge. Not quite as cheap or easy, but addictive and delicious. Spread almonds on a 9X13" baking sheet. Toast at 400' for 10 to 15 minutes. Stir often. Be careful to not let them burn. Mix the butter and soy sauce together and pour over the almonds. Stir well. Toast for 10 to 15 more minutes, stirring occasionally, until the nuts are coated and fairly dry. Starting tomorrow - my 7 Days of Christmas. Good morning to you! Today is December 10, and for those of you who celebrate Christmas, we've only got 2 weeks to go until the big day. I'm surprisingly organized this year. Got my cards out, the out of town presents have been sent. Except for a couple of work people and new friends I've got all my shopping done. All that's left really is figuring out some meals for the 24th, 25th, and 31st. We are continuing our new tradition of choosing dishes from other cultures for Christmas Dinner. Last year was French Canadian and the year before (our first for this tradition) was a dinner from Sweden. 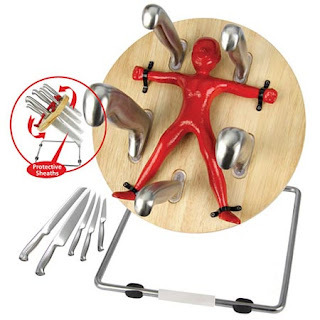 But anyway, I thought that I'd share some ideas for gifts for people who like to spend time in the kitchen. So every day for the next seven days I'll be posting stuff I think that you should buy your loved ones for a gift - or buy for yourself! Cause I don't know about you, but I can always use some gift buying advice, and I LOVE receiving anything kitchen/food related. And you know, 'tis the season. So I am the host for this months Weekend Cookbook Challenge. Traditionally, participation in December is low, so to try to combat that I've chosen the theme Appetizers. The past few months have been incredibly busy and tiring for me, so lately the number one priority of most meals I've been making has been fast and easy. My first appetizer recipe of the month for WCC fits that bill, and could easily be served for your main course too - meatballs! Who doesn't love meatballs? And who doesn't love a dish made with frozen store bought meatballs and a crock pot? Heaven, I tell ya. Once you've got your sauce ingredients mixed together, there is nothing for you to do for 3 or so hours. And if you are making this for a party or get together, you can remove just a few mballs at a time, keeping the rest warm until needed. Stir together the cranberry sauce, chile sauce, water, sugar and lemon juice in the crock pot. Add the meatballs and stir to coat. Cover and cook the meatballs on low heat for 3 to 4 hours, until the sauce is bubbly and the meatballs are cooked through. Serve warm. A couple of weeks ago the Bread Baking Babes posted our November bread, Rosendal Crisp Bread. If you've read the recipe, you'll see that you use a sourdough starter in the bread - either one specifically made for the recipe, or an existing starter. I'd pulled Craterface out of the fridge to use. After giving him some feedings, I divided some off and under the watchful eye of Mary I turned part of my sourdough starter into a rye sourdough starter. But I only needed only a few tablespoons of the starter for the bread. It seemed like such a waste to just throw it away, but God knows there's no way I'd know what to do with it. And Mary must have been reading my mind because she (and this is all via instant messaging, of course. If she and I had actually been in the same room I'd have been screaming it from the hilltops) said hey, now that we're done our crackers, do you want to figure out something to do with this left over starter? Well of course I did! And I swear within 10 minutes Mary had created a recipe for us to use up our starter in a loaf of bread. People, this is why I call her Yoda. I don't know what was better, getting a couple more hours to spend online with my amazing friend, or the incredibly delicious loaf of bread that appeared. Absolutely fantastic! Mary's written about it here. Hmmm, for some reason it looks like that link is not going directly to the post. If it doesn't work for you, please scroll down to her November 19 post. So earlier this month I was perusing some of my favorite blogs, and a big announcement was made at Urban Vegan - she's writing a cookbook! UV put out a call for recipe testers, and I sent off an email offering my services. The next day I was blown away when I received an email back accepting my offer! I am a huge fan of vegan food and to be able to help out a creative and deserving food blogger publish their recipes is such a thrill. I've bombarded the poor woman with more than one email thanking her for choosing me, but I'll say it again here. Thank you!!! Here's some of the recipes I've tried out so far. I actually made Urban Vegans Sherry Infused Pate back in May. I haven't decided if I'll make it again before the testing deadline is up, because I have loads of other recipes I'm dying to try, but this one is one the testing list. I don't like "regular" pate, so I was excited to try this meatless version. Absolutely easy and wonderful. Here's my original post about it. Warning for any vegans that have stopped by, there are photos of meat in that post as well. English Muffins - who knew English Muffins are so easy to make at home??? Made with whole wheat flour this muffins are hearty and delicious. Creamy Avocado Dressing - a thick rich salad dressing that can also be used as a spread or dip. Blueberry Grunt - I made this for breakfast one morning and after Scott ate his bowlful, he took his spoon over to the stove and kept eating right out of the pan. John's Tomato Bruschetta - this one makes me hang my head in shame at my sorry attempts at making bruschetta. Bold delicious flavors. Winter Pesto - pesto made with spinach! Delicious and healthy. In addition to tossing it with pasta, I also loved it spread on toast with tomato slices on top. 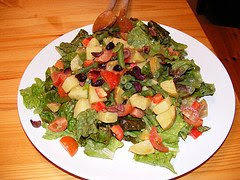 Nicoise Salad - I love meatless nicoise salad, and this one adds lettuce. Very nice and filling. Corn Consomme - another one that had Scott standing at the stove with his spoon in the pot.